Lori Osterberg has created three successful businesses in the past 13 years, and has discovered the secrets of taking a local small business and turning it into a worldwide success. She started as a high-end wedding photographer, photographing clients anywhere they chose to fly her. From there she developed two businesses directed at helping small business owners market their businesses, mainly in the online world. She now shares her passion with people around the world, and speaks, writes and mentors on using technology to grow your business – and stay small at the same time. 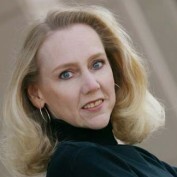 She writes regularly, and can be seen as a columnist in the Denver Business Journal.